Hey Y'all! It's Susan hopping over from Friendly Froggies! Every year around this time, I always teach the "Holidays Around the World" unit with my firsties. Well, this year is a little different. Our latest PBL Unit took longer than expected, so we are just finishing up a big bat project! It was so much fun and the students were so engaged, we just kept going! 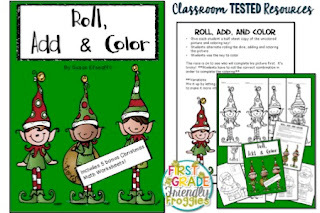 Since I don't have enough time to do the complete "holidays around the world" unit, we are going to focus on our own traditions. The kids are having a blast sharing about their celebrations and traditions. 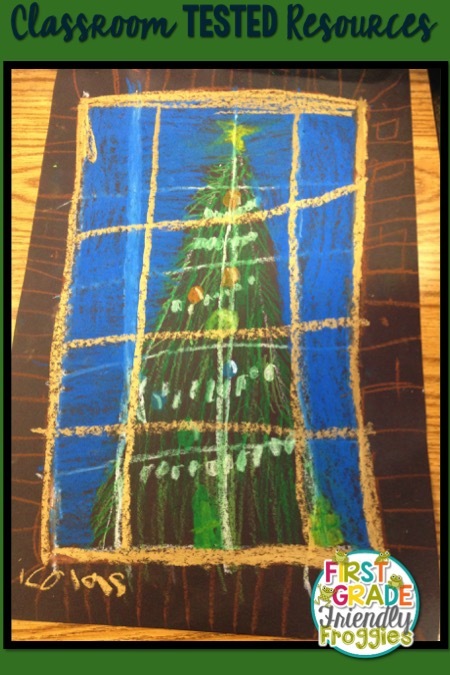 To start off this week, the students have shared about their adventures picking out Christmas trees and decorating their houses. 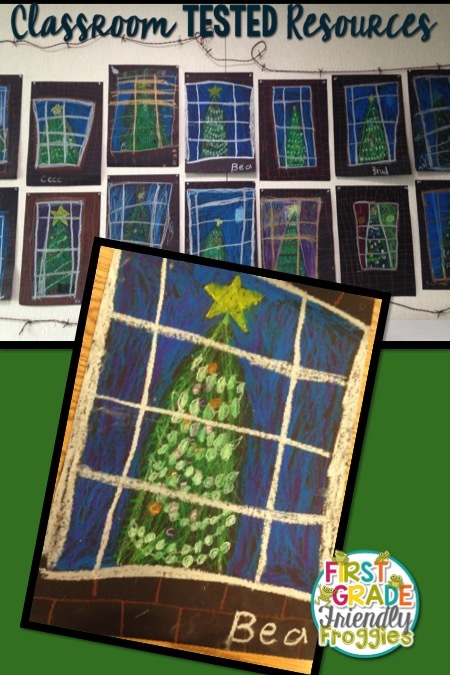 Our school's amazing art teacher is on board with some great lessons! 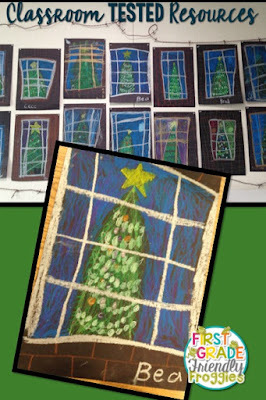 This is an example from last year and I can't wait to see this year's results! One tradition that has really evolved recently is the Elf on the Shelf. 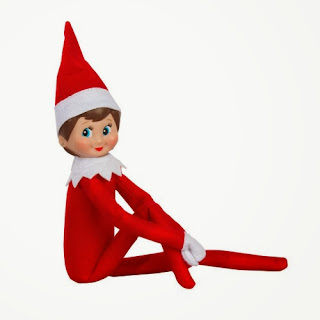 My own kids are older, so we never had an Elf on the Shelf, but most of the kids in my class have one of these little cuties this year. I am a sucker for the Facebook postings and Pinterest Boards that document the adventures of the Elves. I let the kiddos share about their elves' antics each morning during our meeting. It's a fun way to start the mornings. Our school secretary is a former preschool teacher and has brought the elf tradition to the front office! I love that she's spreading the holiday cheer in this way. 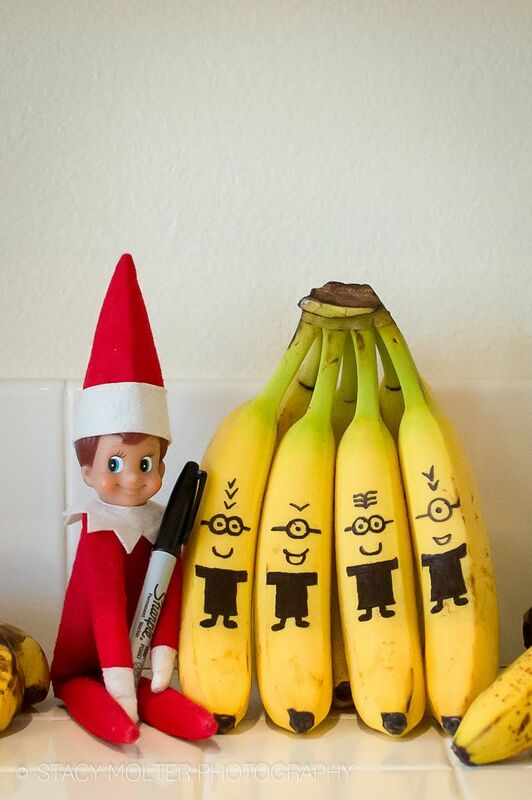 Each day, Rosie the Elf's antics are posted on the Facebook page! Of course, she's had to limit the student visits to one a day! My students love playing the game (over and over) and have absolutely LOVED the math coloring sheets! It's so funny how coloring a math problem is more fun than writing the answer! It's still math....whatever works, right? I hope your days before the Winter Break are not too crazy...I'm trying to breathe and have fun! The kids love this time of year so much. They are the reason I do what I do! Also, if you haven't seen this Pinterest Board, you have to take a look! It's all the antics of the Elf on a Shelf! Some of these ideas are very clever!